After its early days and the daring exploits of the Wright Brothers, the history of aviation soon became tied to the development of military air forces. There is no doubt that military aviation has always needed the most reliable, precise and robust instruments, more than in any other area of the use of technology. Watchmaking was no exception. Initially the exclusive domain of officers, high quality watches using specific codes and aesthetics were developed for military use. 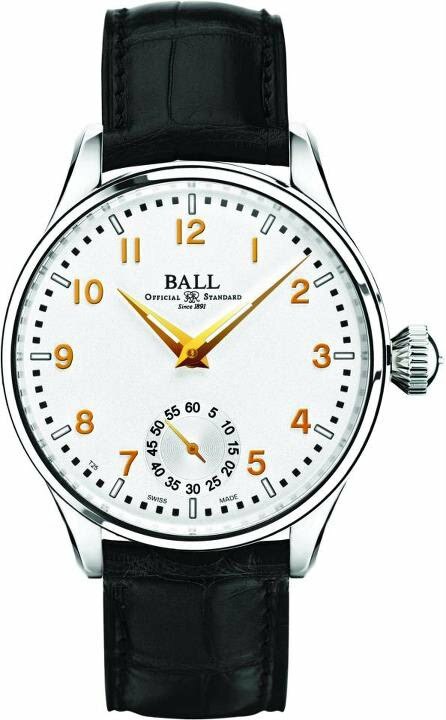 As early as the end of the 19th century, BALL Watch Company was responding to the same demands for precision, performance and quality as military aviation when it published the official chronometric standards for the American railroads. 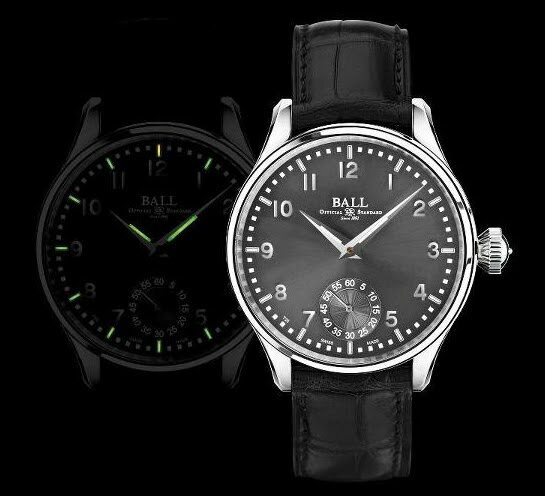 The Trainmaster collection echoes the first watches signed “BALL’s Standard” that ensured the safety of trains throughout the golden era of rail thanks to their precision and reliability. In unveiling the Trainmaster Officer, BALL Watch has applied its exceptional expertise to producing a watch to delight enthusiasts of military aviation as well as of fine and classical timepieces. The Trainmaster Officer is immediately perceived as a characterful watch that adheres to the collection’s unmistakably classic lines. The polished stainless steel case is generously proportioned with a diameter of 44mm and a height of 11.55mm. Whatever the prevailing conditions, the time is immediately visible on the voluntarily sleek and uncluttered enamel dial in grey or white color. The Arabic numerals in metal appliques add an elegant contrast to the dial. The fine minute graduation circling the edge of the dial is another subtle touch. A sapphire crystal with anti-reflection treatment completes this accomplished composition. Visible through the transparent sapphire case back, the ETA 6498-1 manual-wound caliber will delight aficionados of mechanical watch movements. Inspired by the first BALL pocket watches, the large fluted crown provides easy adjustment of the hour and minutes while also imparting an irresistible vintage cachet to this model. A central component in the design of this timepiece, the seconds sub-dial at six o’clock includes a grooved finish of the finest style. So the watch can even be used in the dark, the twelve indexes on the dial and the hour and minute hands are fitted with micro-tubes of 3H luminous gas. Iconic signature of all BALL watches, this state-of-the-art Swiss technology requires no external source of light or energy while being up to 100 times more efficient than conventional luminous paint. The robust construction of the Trainmaster Officer also ensures the watch is water-resistant up to 50 meters and protected from shocks with a force of up to 5,000 Gs. An ultimate touch of refinement, the watch is fitted with a black crocodile strap that admirably sets off this magnificent timepiece.